Classic, timeless Sweater for stylish wear around the home or office. 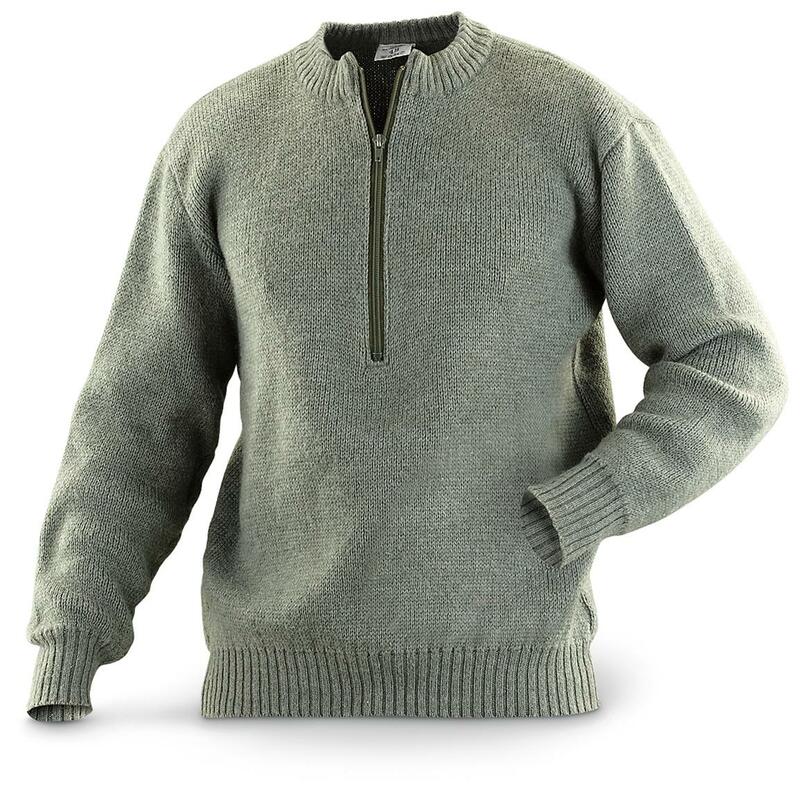 Thick high-performance wool blend manages body temperature in bad weather, even if it gets damp. Pre-tested by Swiss troops, manufactured to top-quality Swiss specifications.